Ok place, but the area is not the best. Not many restaurants except fast food and may not be the safest location outside of the property. Thanks. 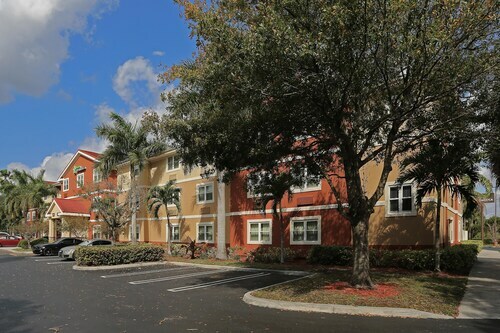 I love the property's closeness to I95 and other conveniences. Excellent!! The staff was amazing and the room was beautiful! It is in close proximity of activities, places to buy things, and places to eat. The room, itself, was clean and neat. The room came all the cooking supplies one would need. You just need to bring your own food. The staff kept my room well stocked. Very good experience and I will be going back. Situated in West Palm Beach, this historic vacation home is 2.3 mi (3.7 km) from Palm Beach Outlets and 3.1 mi (5 km) from Palm Beach Maritime Museum. Rapids Water Park and Port of Palm Beach are also within 6 mi (10 km). Of the numerous worldly travelers who head to Rapids Water Park every year, it would hard to find many that were disappointed. West Palm Beach, where it is, is 360 miles (579 kilometers) from the state capital, Tallahassee. 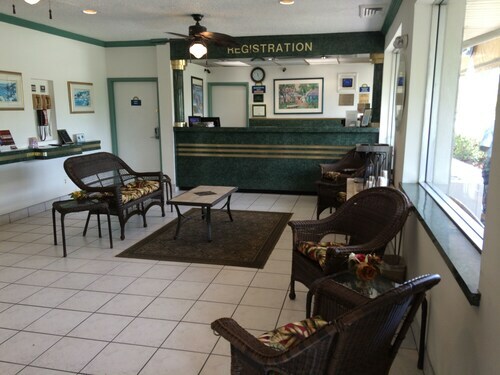 There's a good mix of accommodations that are an easy drive away from Rapids Water Park. Choose from 10 possibilities, all within 2 miles (3 kilometers) of the attraction. 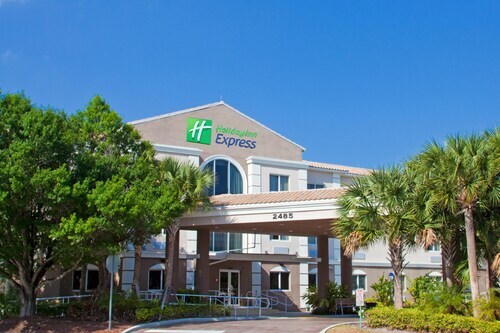 The Residence Inn by Marriott West Palm Beach and the Homewood Suites West Palm Beach are a couple of suitable places here, located 1 mile (2 kilometers) and 1 mile (2 kilometers) away, respectively. 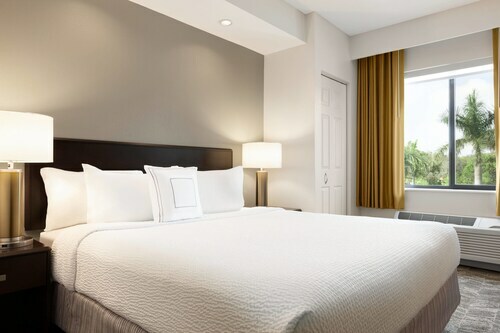 You'll be sure to sleep soundly at one of the area's budget hotels, especially when you remember how much you've saved! 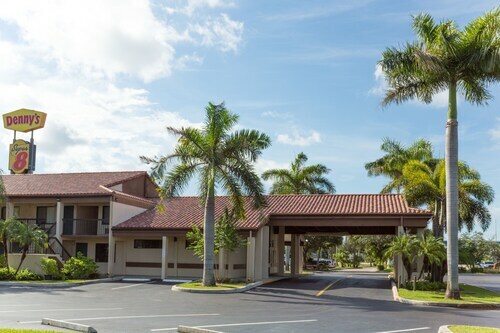 You can make a reservation at the Super 8 Riviera Beach West Palm Beach, 0.9 miles (1.4 kilometers) away, or you might prefer the Red Roof PLUS West Palm Beach, which is 1 mile (2 kilometers) away. 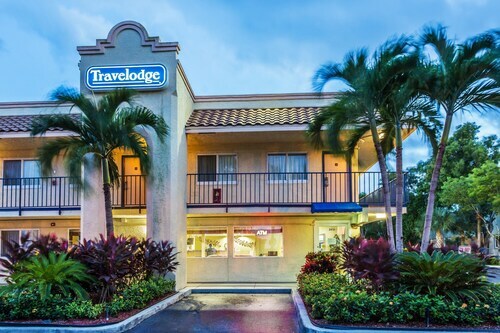 After you've photographed the various sites, settle in at one of the few elegant hotels that are a quick drive away. 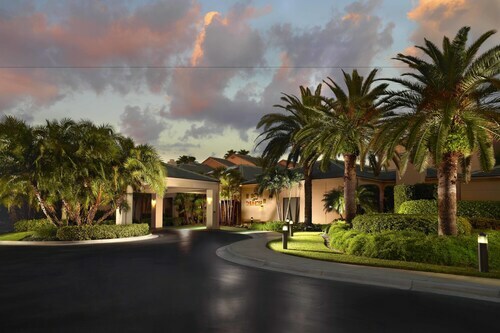 Rooms at The Breakers Palm Beach and Palm Beach Marriott Singer Island Beach Resort & Spa are ideal. You're sure to find great gifts and souvenirs for family and friends at Cyberspeed Mall. Be sure to treat yourself, too! Work on your goal kick, toss a Frisbee or just enjoy a breather at Dyer Park. Free up an afternoon and get ready for some action at Playmobil Fun Park. Dive in and take part in the underwater activities at Walker's Dive Charters. 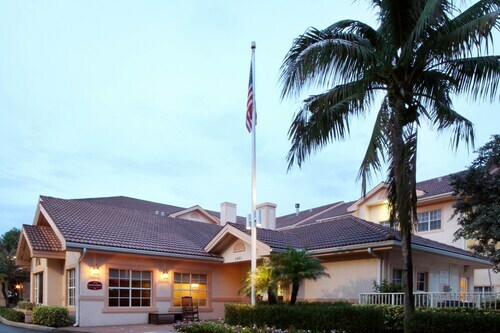 Ironhorse Country Club is a locally renowned meeting point where members come to socialize with friends. How Much is a Hotel Room in Rapids Water Park? Hotels in Rapids Water Park start at $70 per night. Prices and availability subject to change. Additional terms may apply. Luxury Pool Home w/ Amazing Outdoor Space in the Heart of Palm Beach Gardens!